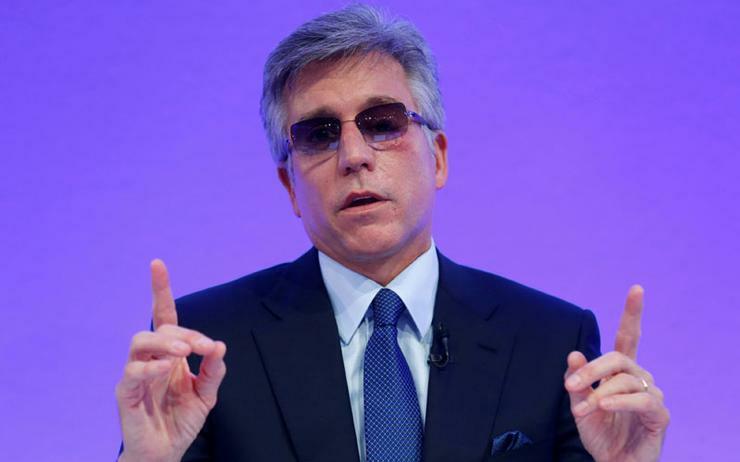 SAP has announced a US$2.4 billion U.S. acquisition to help it boost revenues from its cloud platform and CEO Bill McDermott said it would streamline its overall business this year to bolster margins. But McDermott told Reuters the strategy was now bearing fruit after SAP broadly stabilised its operating margins in the fourth quarter at 35.2 per cent. In an interview at SAP's sprawling campus in Walldorf, Germany, McDermott said SuccessFactors, the human resources application acquired by SAP for US$3.4 billion in 2011, would be fully migrated to the cloud this year. "This year, the entire company will be on one platform," McDermott told Reuters after SAP announced 2017 results that met its twice-raised guidance but came in just shy of analyst expectations. He described Callidus as a "tuck-in" deal that would not move the needle on revenues but that he valued for the company's market leadership and innovation. As Callidus was on the cloud, it would help SAP achieve a 2020 goal of having "predictable" revenues of 70 to 75 per cent of the total. These grew by one percentage point to 63 per cent in 2017. "We did that to get another cloud revenue stream in the mix," McDermott said. SAP reiterated a forecast for 2020 of non-IFRS operating profit of 8.5 to 9.0 billion euros (US$10.5-11.1 billion) on revenue of 28 to 29 billion euros. The world economy is "about as good as it gets", the 56-year-old American said, pushing back against fears that rising trade protectionism could hurt globally diversified businesses like SAP. "President Macron is aligned, to a certain extent, with President Trump on a lower tax rate," he said of his recent meetings with the leaders. All of SAP's regional businesses are growing at double digits, McDermott said, highlighting "hyper growth" in China. SAP said it expected total non-IFRS revenue of 24.6 to 25.1 billion euros (US$30 billion-US$31 billion) for 2018, in line with the forecasts of analysts polled by Thomson Reuters. But the outlook also highlighted that the company expects margins to increase faster in 2018. Revenue is set to grow by around five to seven per cent, excluding currency translation effects, it said, while operating profit is poised to increase by eight to 11 per cent. SAP shares were little changed - falling a fraction of one per cent to trade at 91.72 euros in Frankfurt at 1022 GMT.